A cultural and tourism festival promoting the beauty of Hoang Su Phi’s terraced fields and ethnic culture will take place in the northern mountainous province of Ha Giang from September 28-30. According to Vu Manh Ha, Hoang Su Phi District’s party committee secretary, the event will include trade fairs introducing local specialties, embroidery, weaving and cooking competitions for the La Chi group in Ban Phung Commune; ritual ceremonies of the Dao group in Ho Thau Commune; and typical festivals of the Mong group. 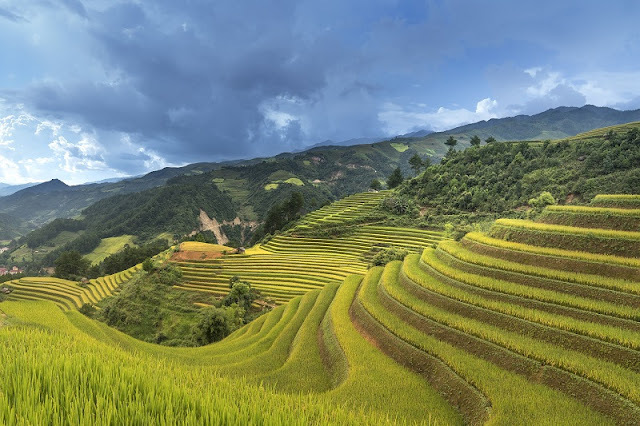 An indispensable part of the journey will be the golden Hoang Su Phi terraced fields viewed from Nam Ty or San Sa Ho communes.